Anyone who has played roulette has dreamed of having a spectacular win, but the truth is that to win big on roulette, you have to be willing to bet big too, unless you’re going to play for a very long time making steady progress on your bankroll with small bets. 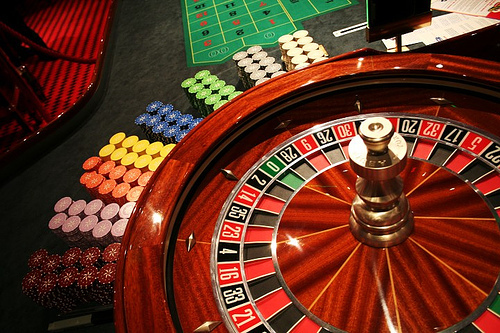 Of course, there are no guarantees in playing roulette as the outcome of the spin of the wheel is always random unless the casino fixed the wheel in some way! Certainly when you play online roulette at sites like 32Red casino, the random nature of the game is guaranteed through random number generator software. But just for fun, here are two tales of very big wins at the roulette wheel. Charles Wells was an English conman who persuaded investors to put money into his new invention – a musical skipping rope. In 1891, he took the investors’ money over to Monte Carlo where he put it all into an eleven hour stint at the roulette wheel. That night, he had more luck than any other person had ever known and broke the bank not once, but a total of a dozen times. To break the bank is when you win all the chips that are available on the table, and play then has to be suspended while more chips are brought up from the casino vaults. During his marathon playing session, Wells also managed to win bets on 23 out of 30 consecutive spins of the wheel. Wells won more than a million francs during his 11 hour stint at the roulette table. He was suspected of using a system or cheating in another way, but he always put his success down to plain old luck. Over a hundred years later, in Las Vegas in 2004, a very different roulette win took place. Ashley Revell from the UK had been challenged by his friend that he wouldn’t have the nerve to place all that he owned on a single bet. To prove him wrong, he sold all his possessions - including all of his clothes - and went to Vegas to play roulette at the Plaza Hotel and Casino. Revell had €135,300 to bet and his bet was filmed by Sky for a reality TV show. At the very last moment, he stuck all his chips on red and then watched to see which way fate would turn. As the wheel slowed, the ball came to a halt on number seven – red. Revell walked away with €270,000 - having left the dealer a €600 tip. Of course, in today’s money Wells’s win would have put Revell’s in the shade, but Revell was the braver man – going all in with everything that he owned and using his own money to boot!